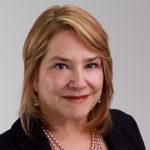 Ilene Fischer is a Partner with Mark Kamin and Associates, where she is a Senior Executive Coach. To learn more, visit her website: mka-world.com. What Can Gratitude Do for You?